Keep up with us on our Facebook page to see our latest work! Connect with us here! Ready for something out of the ordinary? 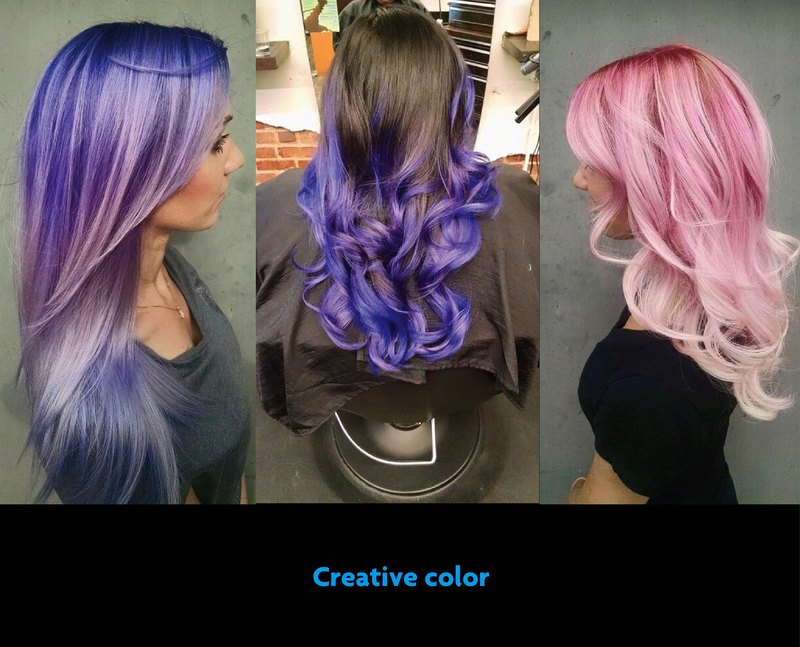 Left to right: Color melt perfection with Maria; Pop of color with Jessie; Pretty in pink with Jessie. We love a dapper man. Does someone you know need a new look? These are awesome transformations by Klay! 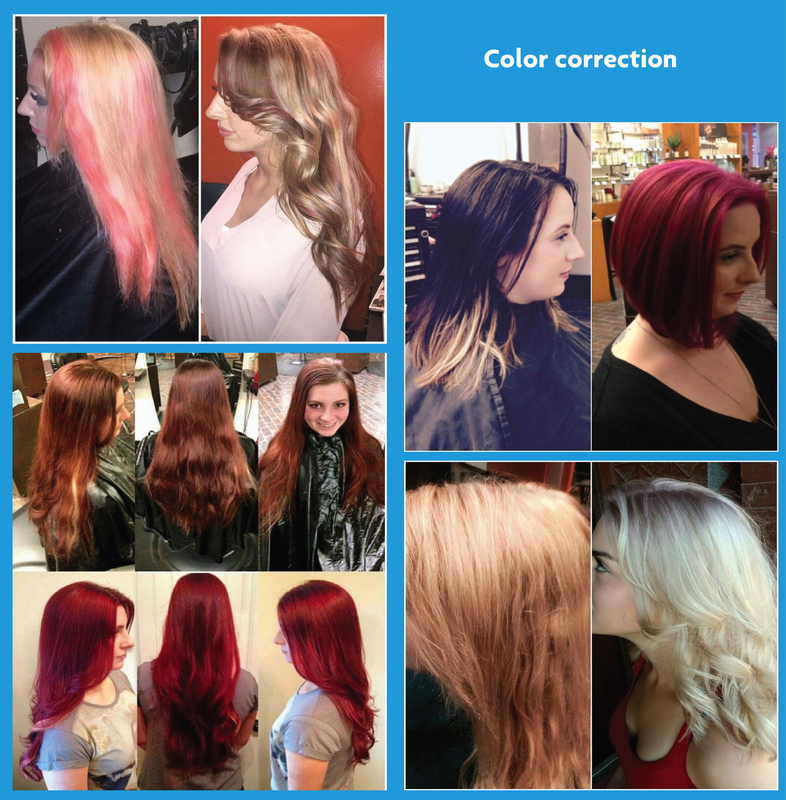 We love to do color correction! Here are some of our before and after shots.